A collegiate feel, helpful staff, & preferred amenities. The Stack exceeds any student needs. Our units are fully furnished with in suite laundry for hassle free living. 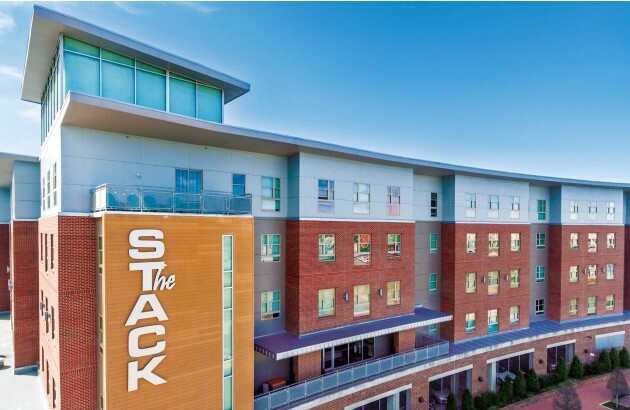 The Stack student apartments in College Station, TX has a legacy as an award winning off-campus student housing community. 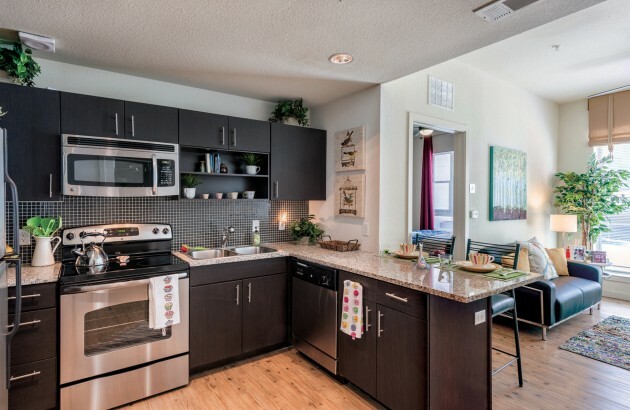 Built in 2013, The Stack set a new standard in quality Texas A&M housing and customer service. The size of our boutique style community promotes academic success and has all the luxuries of home. 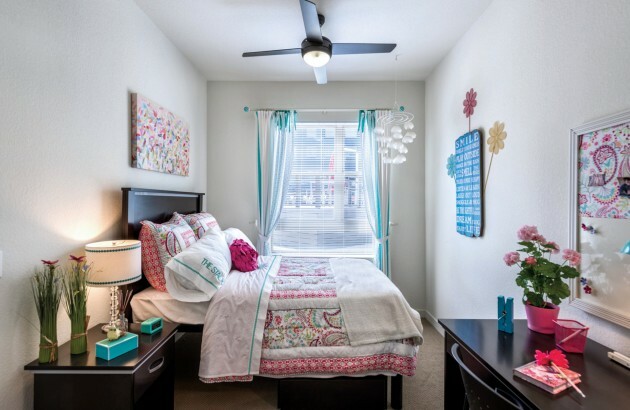 In addition, our location is most often closer to class than any housing on campus at Texas A&M University. Students can choose between 1 bedroom, 2 bedroom, 3 bedroom, and 4 bedroom style apartments that feature granite counter tops throughout, gourmet kitchens with stainless appliances, washer and dryer in unit, fully furnished with designer furniture package, high speed WIFI, and a private bedroom with en suite bath. 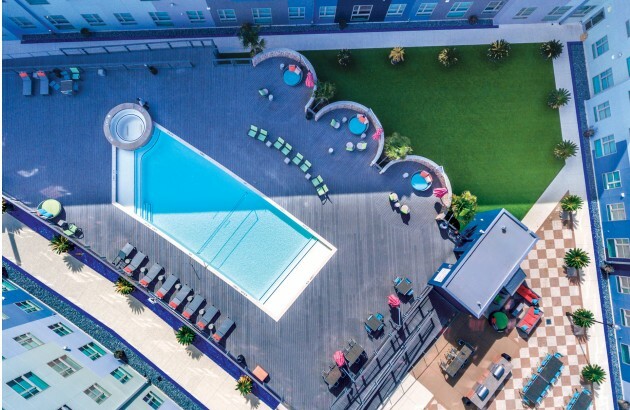 Our student community offers a boutique style pool & hot tub, gaming area, fitness center with plyometric room, three study lounges on every floor, DVD rentals, and our Stack Field where Texas A&M students can get active and play flag football, soccer, or get involved in an intermural league. 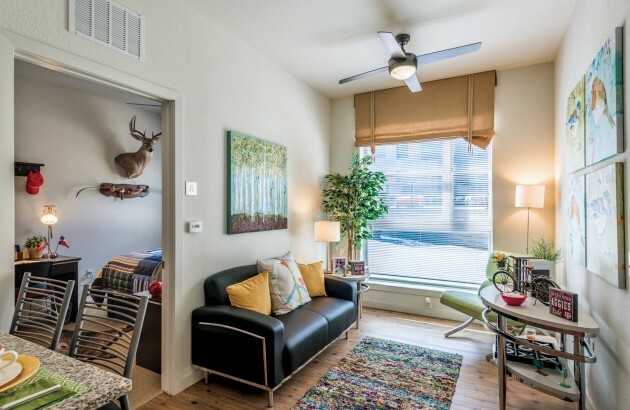 Located directly across from the Jack E. Brown Chemical Engineering Building and main campus at Texas A&M University, residents at The Stack make a short, worry free, commute to and from campus with ease. Our thorough roommate matching program and attention to detail has assisted many in friendships that help create our student-centered community. 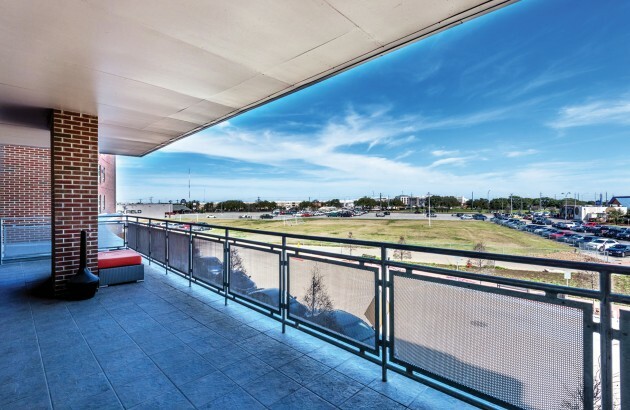 Choosing The Stack is much more than selecting an student housing apartment in College Station, it’s choosing to make an investment in a superior college experience.